This entry was posted by Silveira on 27 July, 2008 at 9:07 pm, and is filled under Uncategorized. Follow any responses to this post through RSS 2.0. You can leave a response or trackback from your own site. I have you for breakfast! imagina vc maior sussa dando comidinha pras pombinhas, du nda uma coisa gigante vindo em vc! 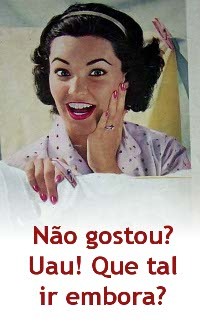 hehe, eskeci de coloca meu blog! Applying for China Visa Singapore? Are you worried on document preparation for China Visa application Singapore , looking for the best China Visa Agent Singapore? IVC has successfully processed 20,000+ China Visa applications and have the highest visa approval percentage. Our dedicated expert team understands the responsibility with highest levels of trust, honesty and integrity and is well equipped to manage and process Visa applications. IVC Services remain customer friendly and not only meet endeavor to exceed all the requirements entrusted by our customers. Get information about the Best Long Distance Movers In Georgia, learn about the state of GA and see what you need to know before your move. When you’re looking to relocate to or from Georgia, you deserve to have all of the best when it comes to your situation and needs. That’s why, at Best-Movers.com, we want to connect you with the best long-distance movers in GA. Using our site, you can get quotes so that you can compare prices and see which of the options are going to be your best bet when it comes to making a decision for your moving needs.